Dead rubber. An expression that would never be uttered at AFL headquarters, particularly by the match-day attendance number-crunchers. Not quite as bad as dead rubber’s evil twin, ‘tanking’, but it still has a whiff of unfair competition about it. What is usually a tennis-term, is now being mentioned by AFL senior coaches as they rehearse final home and away post-match reviews. If a red-hot favourite team should tumble, then they can say it was only a dead rubber. But like Mark Twain announcing his own death as an exaggeration, the dead rubber should not be over-exaggerated as a reason for a team winning or losing. It should be regarded as one possible factor only. 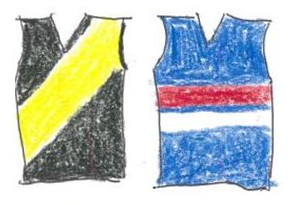 It is just a quirk of the draw that Richmond safely ensconced at the top of the ladder is playing the Bulldogs who are out of final’s contention. Who would have thought that the premiership teams of the last two years would be playing the last home and away game as a dead rubber. Both teams today have enough reasons to ignore the dead rubber phenomenon. Richmond players will be trying to convince selectors that they should be picked in two-weeks time. It doesn’t make sense that they will just go through the motions and play bruise-free football, even if their coaches are happy if there aren’t any actual bruises by the end of the match. Also, the relatively injury-free Richmond still has two or three players on the sidelines ready to put their hand up for finals selection. With just the one premiership since 1980, Richmond will not be complacent enough to regard winning the next one as a done deal. They are more likely to show off their skills, running on top of the ground at home on the MCG now that Spring is in the air. They also have the added incentive of sustaining the longest sequence of wins at the ‘G. The Bulldogs won’t be thinking of this match as a dead rubber either. There is a handful of free-agents who are considering their future and what better way to increase their market-value than to play a blinder on the last game. The core of fringe-players and rookie-listed players will be going flat-out to impress after getting the opportunities this year due to the Bulldog’s long injury list. Next year they will be competing with at least ten Bulldog stars who will be returning. The veterans such as Dale Morris will be going flat out from start to finish as usual. ‘Dead rubber’ wouldn’t be part of his vocabulary. Besides, he will relish the chance to try and beat, or at least curb Jack Riewoldt before Jack claims another Coleman medal. First year players such as Richards and Naughton will continue to impress as they have all year. So there are many reasons for both teams to put on a show for their supporters today. We will know as soon as they run out if the Bulldogs have Bali on their mind or if the Tigers are already dreaming of holding the premiership cup in a few weeks time. There are strong indications of bruise-free football for both teams during the first quarter. The Bulldogs are playing a different game than their first one for the year. Not so many tackles and for the first time kicking more goals than points. A fast start and not the usual catch-up football from such a young inexperienced team. The accurate goal kicking (six for the quarter) is probably due to not tightening up, taking the game on and just seeing what happens. Richmond look like they are hoping for an easy contest and are a bit stunned with Macrae racking up possessions and fifth-gamer Lynch kicking two goals. One from 52 metres. Ah, the freedom of youth when the points don’t matter. Schache and Greene join the youthful revolution with goals while Martin representing the Richmond establishment is brought down in a tackle. Was he dreaming of the premiership lap of honour or perhaps a trip across the ditch to see his dad? The second quarter was more of a stalemate as the coaches would have told their troops to tighten up and slow down the opposition’s free-running play. Surprisingly after two goals only kicked by both teams, the Bulldogs were in front at half time by three points. Based on past history, Bulldog supporters would be wondering when the flood-gates would open after their gallant effort so far. Riewoldt had one goal by half-time which was a big tick for the Bulldogs. Jack’s team-mates were looking to pass the ball to him as much as possible and allow him to be selfish on this ‘dead rubber’ day. During the third quarter Bulldog supporters were given a glimpse of the future watching their new recruits. Back-line players Crozier and Naughton were particularly impressive as well as Gowers who kicked two goals followed by Richards starting to get into the game and kicking a goal after one of his trade-mark runs. Richmond finished two goals in front by the end of the quarter but the fear of a possible blow-out had disappeared. It was more a sense of the Western Bulldogs were setting themselves up for a successful 2019 by showing their fans just how good their recruits have been today and throughout the year. 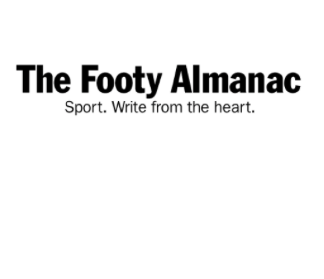 Jack Riewoldt added two more goals in the fourth quarter for a total of five and the Coleman was virtually assured. The Bulldogs lost Lipinski to injury and Toby McLean was banged-up but fought on knowing he could have the big rest in thirty minutes’ time. More goals from youngsters Bailey Williams and Gowers but only a point from the more senior 22-year-old Marcus Bontempelli whose body must have been screaming for a rest after such a long season. Just when Bulldog supporters were starting to think…we can win this, the footy gods had other ideas. Three times they hit the post including the last one by Lynch with 33 seconds to go. A win would have been icing on the cake after such a close game against the premiers. Terry Wallace said he would spew up if anyone congratulated his team on nearly winning against better opposition in 1996. Luke Beveridge said he was gutted. Both coaches were emphasising the importance of finishing the season with a bang rather than a whimper. In 1997 the Bulldogs went on to play in a preliminary final, so who knows. I started this report asking the question if a dead-rubber match effects the way teams play, particularly in the last home and away match. Another reason the final’s bound team is unlikely to take it easy and just play bruise-free football is for the fans. In Richmond’s case there are a lot of them and they don’t want to watch a mediocre performance. Then again, they might be like the coaches praying there are no injuries after any hard tackling and high leaping for marks.